China is the world’s largest country and has internet policies that have favored local companies such as Baidu that were willing to comply with these policies. As a result, Google is now approaching China with a new strategy which aims to win the consumer hardware industry in China with their new Google Pixel smartphones, Google Home artificial intelligence-enabled speakers and Google Daydream View virtual reality headsets. The pricing of these products will likely allow Google to create a large and profitable market in China, but the company might still face strong restrictions from Chinese government due to negative sentiment and the fact that all of Google’s hardware products can easily be tied into its internet services. Google might try to do what Apple did 6 years ago: relying on the enormous grey markets for electronics devices. At the moment, mobile phones using Android system already dominate the Chinese market with 300 million smartphones sold this year. Leading Chinese mobile phones companies, such as Huawei and Xiaomi have been producing affordable consumer phones that use the Android operating system and have found great success with their phones, but Google’s Pixel OS has huge advantages by having the best integration between the operating system and device hardware to optimize the performance of everything else on the phone and will be a strong differentiating factor. Because of Samsung’s recent woes with its Galaxy 7 phones, Google Pixel now will compete directly with Huawei’s flagship models in the high-end Android market. “No one quite predicted Google would arm up its hardware strategy to this level”, said Peter Furhman, the chairman and CEO of China First Capital. After the dismal failure of Nexuses phones in the past Google is Apples model by creating a vertically-integrated hardware and software business, the will be coupled with the world’s most powerful system of artificial intelligence. Under Google’s scenario, the battle of hi-end smartphone market will be between Apple and Google, or more specifically, Android and IOS. 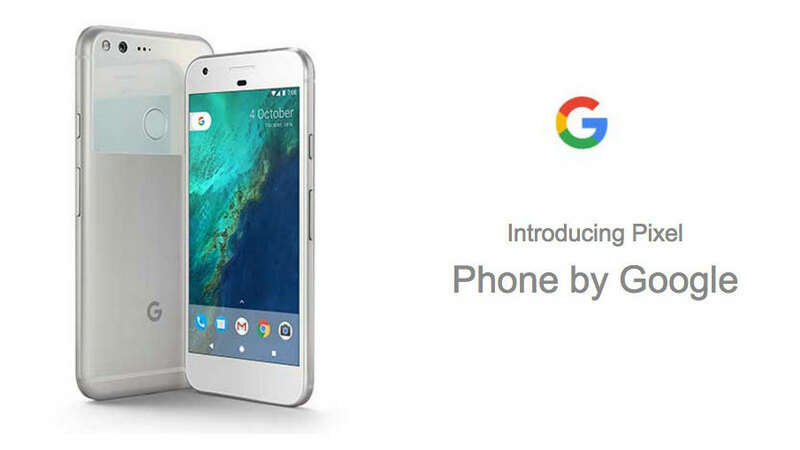 Why is Google Pixel OS so important that it can compete with Apple, the world’s most popular phone in its debut? According to Peter Furhman, “Google’s advantages run so deep they can seem unfair”. Except for Apple and Windows phones, all other manufacturers are building their phones using Google’s Android software and this gives Google deep insights into what competitors are developing and the features that are most important to consumers. These insights give Google a clear and long-term strategic advantage over competitors since Google controls future Android OS development and can slow down the release of Android OS upgrades in favor of Pixel. Other Google advantages include being one of the most recognized brands in the world and it also has the most advanced capabilities and experience in human-machine dialogue. Due to government’s restriction, Google’s services such as Google Search, Maps, Gmail and Drive are being blocked or restricted. Yet despite these restrictions, the government and most international companies are relying on Google Translate and will need to rely on other Google AI devices in the future. Baidu, China’s largest search portal has made a commitment to invest US $200 million into AI development with the focus on self-driving cars, but Google is already further ahead than any Chinese companies in this area and is partnering with a variety of companies that are involved in autonomous transportation. It seems to be only a matter of time before Google will become more active in the mainland Chinese market, so the question for both consumers and investors is whether the Chinese government can find a balance to allow Google to provide products and services in the market of whether it will block Google again due to the company’s position on government policies.